Students - Yesterday I went to two thrift stores to stock up on photographs for the coming week. It was such fun, but there was one problem. I was torn between thinking about what to take pictures of...and what to buy. I ended up taking lots of photos (some of which you will see this week) and buying four books, a cool garden sculpture, and a long sleeved blouse. Oh, and a garden trowel. Victory! I love having a lot of photographs on hand this month. It makes me realize that it is important to plan for writing by planning for having lots of ideas. The more interesting (does not mean expensive or exotic) things we do, the more interesting things we will have to write about. This means that one important part of being a writer is learning to become interested in things and thereby, interesting. 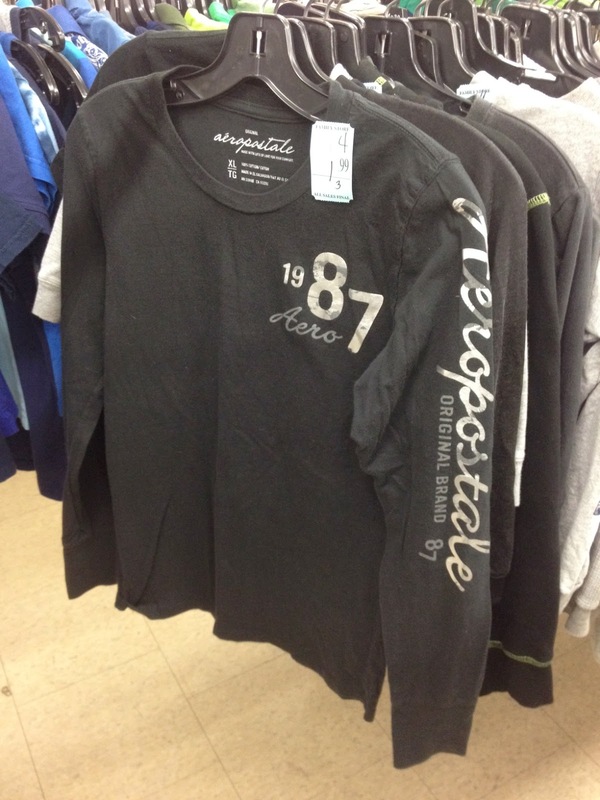 For the photo-taking part of this project, I stroll through thrift stores and just stare at everything. I listen for things that want their pictures taken. Somehow I just know which ones they are. Then, while driving or walking, I choose whichever one is most meaningful to me at the time. For some reason, this shirt - a very ordinary trendy shirt - rose to the top today. Today's poem uses the technique of personification, or giving an inanimate or animal object human feelings and abilities. Shirts don't think or have friends, but in my poetic head, they do. So far one of the best parts of this project is realizing that it is possible to come up with a new angle each day. Many of these poems have been complete surprises to me! 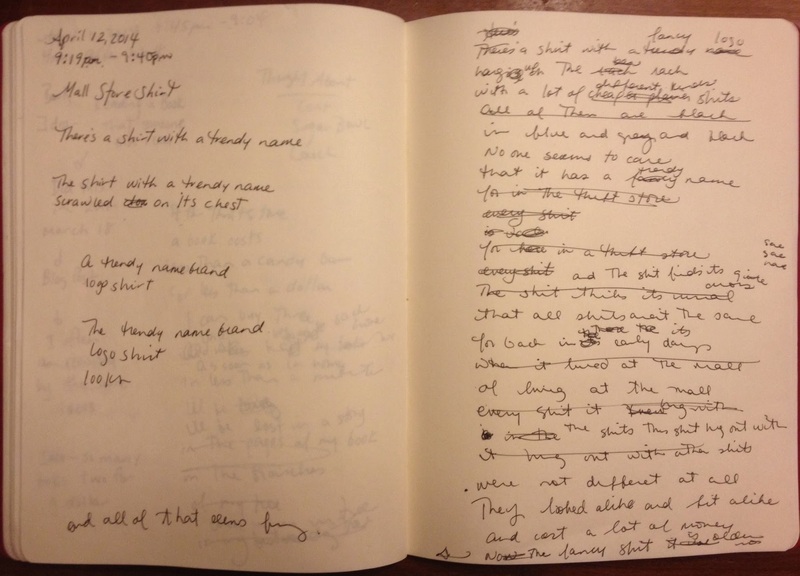 Below you can see the longhand draft work for today's verse. It just got itself rolling. I have said it before but you are a treasure. This is a wonderful post and I pray some of my kids are inspired to read at home during the week off! Love how you pack so much to think about in your words. I need to find some other thrift stores to check out! You are inspiring ideas all the time. 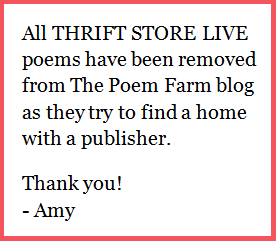 Poetry treasure and more, Amy! Were you born with the creativity gene? Seriously were you a writer or observer or poet as a child? Were you encouraged in some way? Maybe you have written about this and I have missed it, but I am curious. Happy day! I love hearing about your digital photographic writer's "notebook" full of ideas! Styles come and go don't they? I have seen this sentiment mentioned when talking about what colleges like in applicants: "This means that one important part of being a writer is learning to become interested in things and thereby, interesting." Colleges like students who are engaged in a topic, who follow what they are interested in and make discoveries. As a writer, when you come up with the right theme/idea, it makes everything easier, doesn't it! Everyone needs to check out thrift stores to make their good buys, don't they? Hope the shirt gets a little more love, soon! I'm getting caught up here after a terrible computer crash. 8-( I am learning so much from this excellent series of poems. Thanks for doing this every day. I love this one. It's so clever.